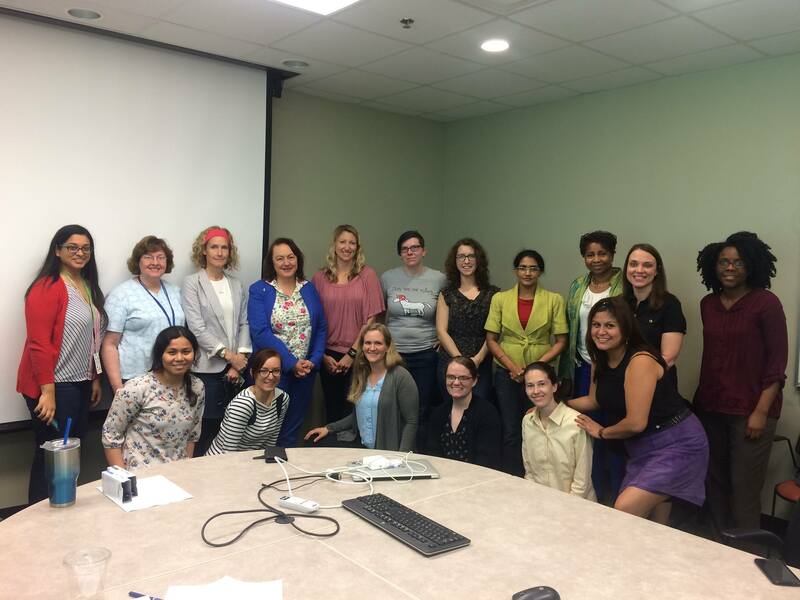 Women in Computing at ORNL | Sólo para Mí! There is a group in ORNL called Women in Computing(WiC) that helps empower females in Science Technology Engineer and Maths (STEM) in Oak Ridge National Lab. (ORNL). I had the honor to participate in a couple of sessions during my internship. It was celebrated in a meeting room inside ORNL during lunch time. The topics ranged from the percentage of women that ORNL hired, how can we support each other no matter the area we work and the events we can do to encourage future women in Computing. I met more professionals with different background in Computer Science. I felt that all of them are amazing coping their professional life and personal one. It was celebrated outside ORNL in a restaurant in Oak Ridge. 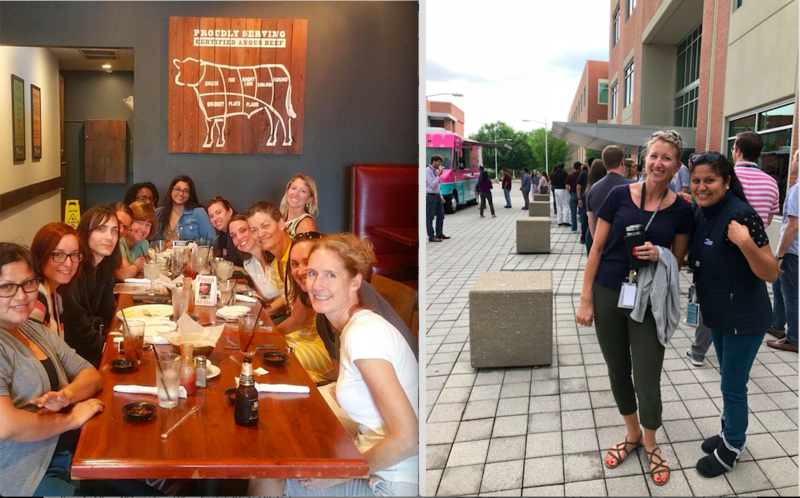 We spend a Friday afternoon after work to talk about our future plans as professional in Computing and I had the chance to met more diversity women from other countries such Republic Czech and I was so happy to belong to a world class group of researchers and ORNL employees. * Special thanks to Kate Carter because she promotes inclusion and a good environment to expand our professional and personal networking. This entry was posted in Events and tagged Julita Inca, Julita Inca Chiroque, Oak Ridge National Laboratory, ornl, USA, WIC, Women in Computing, women in STEM, women tech. Bookmark the permalink.